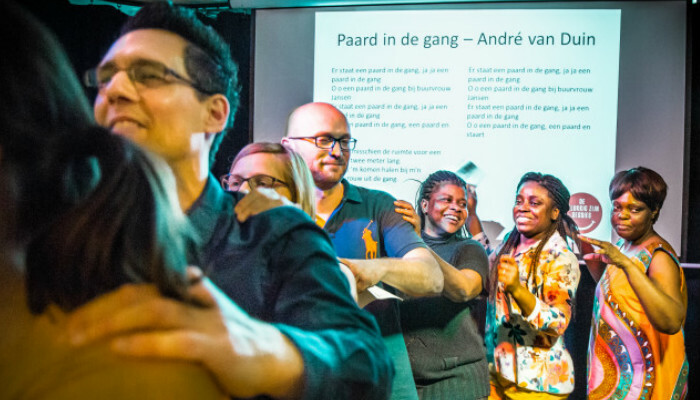 During the Week van het Nederlands (Dutch-language Week), we will be hosting a sing-along session with Dutch songs. 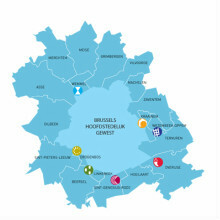 The programme features the most popular Flemish hits, ranging from well-known songs by Will Tura, Raymond van het Groenewoud, Ann Christy, Yasmine, Gorki, Noordkaap, De Mens, Bart Peeters and Laïs, along with tunes by more contemporary performers, such as Bazart, Mira and Eva De Roovere. You do not have to be a great singer, as the key aim is to have fun. Anyone who enjoys singing is welcome to come along! Lennaert Maes has prepared the sing-along session, with Hans Primusz providing the accompaniment on the piano. All the audience members are issued with a booklet featuring the lyrics to the songs.